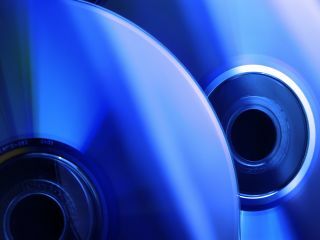 According to latest industry forecasts, consumers in Europe, America and Japan are set to buy over 100,000,000 Blu-ray discs in 2009. The figure is based on research by Futuresource Consulting, who claim that the increased take-up of high def TVs and falling costs of Blu-ray players (and rumoured drops in the cost of PlayStation 3 on the horizon) will give Blu-ray a significant sales boost over the coming year. "In the USA, Blu-ray has moved from early adopter phase through to early majority, with the format gaining real traction in the marketplace," according to Mai Hoang, senior market analyst at Futuresource. "Last year in the US alone, Blu-ray video retail sales increased by a whopping 320 per cent to 24 million units; and we're going to see momentum continuing in 2009, with over 80 million disc sales forecast." Futuresource notes that the UK is the largest market for Blu-ray discs in Western Europe, "with sales of more than 3.5 million units in 2008, it represented over 40 per cent of the West European total." Futuresource MD Jim Bottoms adds that "Blu-ray disc sales continue to expand into all major markets and genres." Bottoms also adds that the industry has focused largely on new releases and the action-adventure genre to date, "appealing strongly to the young male technology adopter, which also closely matches the PlayStation 3 owner profile." "By 2012, around 50 per cent of US and 35 per cent of Western European video disc retail sale volumes will be Blu-ray."